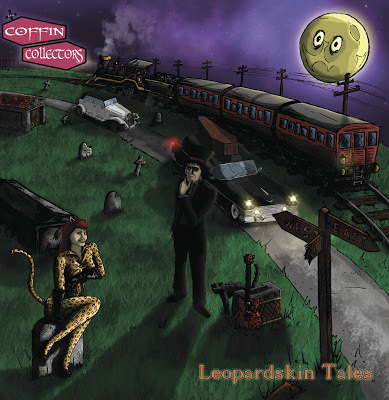 Just thought I’d plug a little bit of work I did earlier in the year when I was asked to illustrate the cover of The Coffin Collector’s album; Leopardskin Tales. Kaligula was very specific about the content of the illustration and so the layout and content of the artwork was as he requested – each image referring to a track from the album. Normally I shy away from illustration as I don’t consider myself much of an artist, but I enjoyed working on the cover. Anyway, here is the image, and be sure to check the band out too! 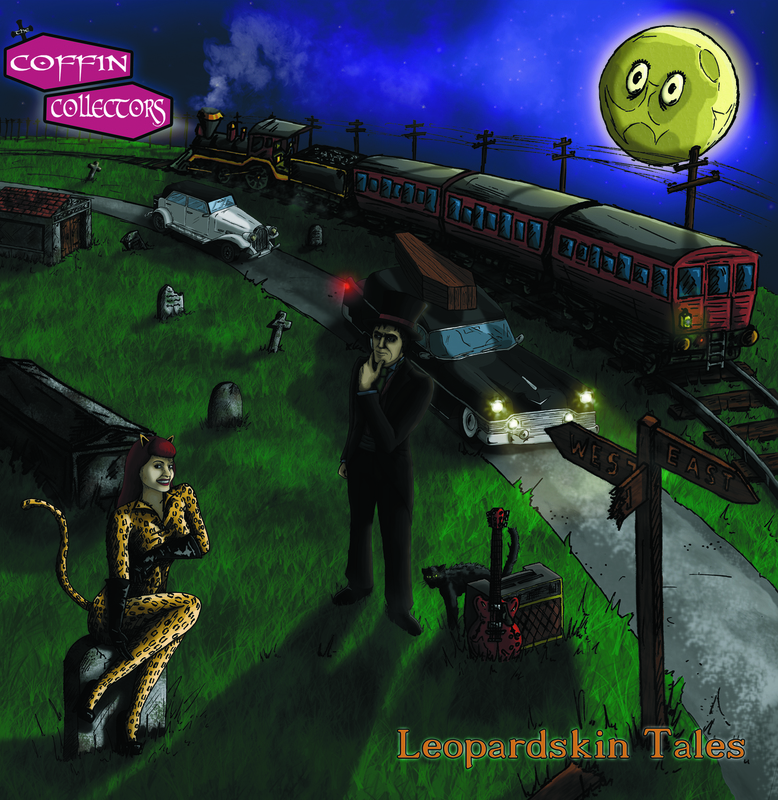 Visit The Coffin Collector’s band page!